Like most people who found a brewery, the guys behind one of the newest kids on the brewing block in Savannah, Service Brewing Company, have a shared passion for beer. But Kevin Ryan and Jeff Hyatt share something else that’s equally important about their vision: their background in the U.S. military. A West Point graduate, Ryan, who is CEO, spent eight years in the Army, which included commanding two companies in Iraq, and training and leading soldiers in Colorado and Alaska. Brewer Hyatt, meanwhile, is a retired Army Special Ops pilot who spent more than 20 years flying Black Hawk helicopters in Korea, Honduras, and Iraq. During a break between tours in the 1990s, Hyatt discovered Denver’s burgeoning craft beer scene, earned an international diploma in brewing, and traveled over the world fine-tuning his techniques. Ryan also had developed a strong interest in brewing, thanks to a home brew kit his girlfriend, Meredith Sutton (who’s the creative vision behind the brewery), gave him. Eventually, the veterans’ paths crossed, and the rest is quickly becoming beer history in Savannah and beyond. 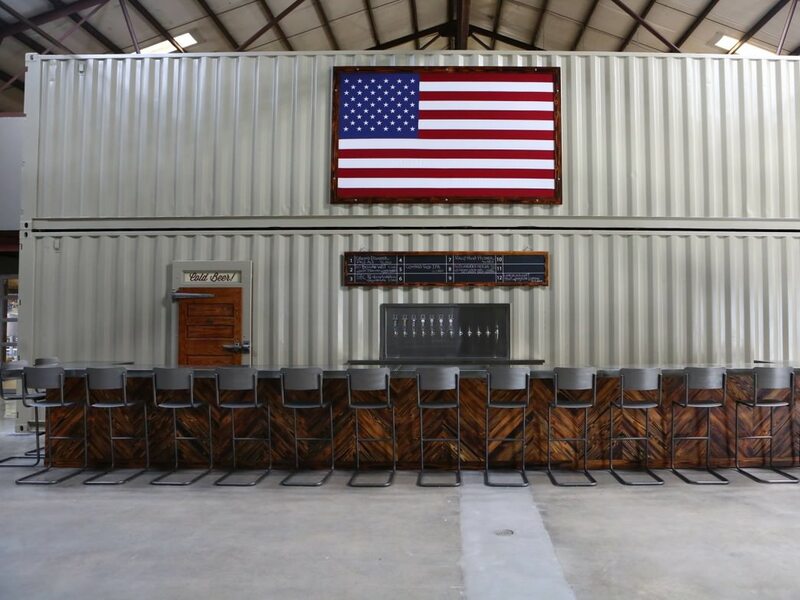 They co-founded Service Brewing Co. as a testament to their experience in the military and a tribute to service members all over the world, with a portion of proceeds going to charities that support them. 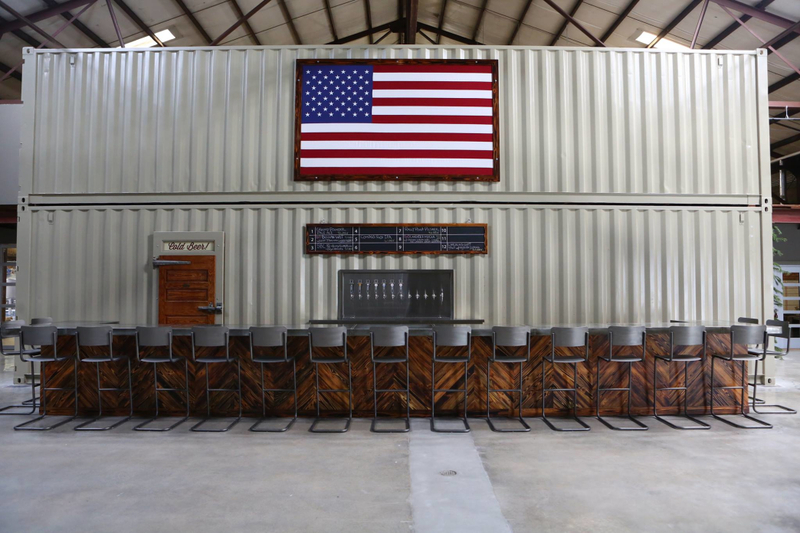 That vision is reflected in everything about the brewery experience, starting with its tasting room, whose aesthetics—designed by Sutton—reflect an airplane hangar and, inside, a military make-shift break room, with two stacked, 40-foot shipping containers and a custom Ping Pong table. 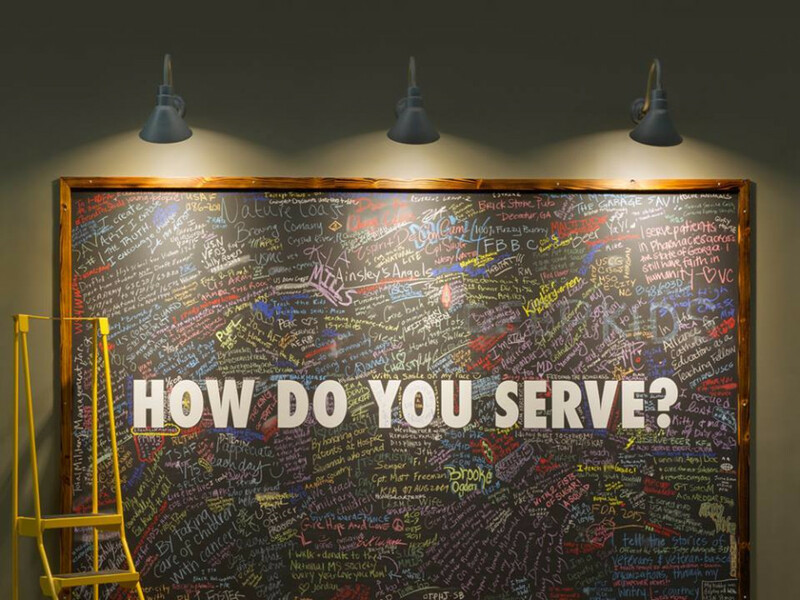 A chalkboard on a multicolored graffiti wall asks the question: “How do you serve?”, with clever quips and signatures from guests in response. Even the brewery’s swag (also available online) has a military theme—for example, a beer opener that looks like a missile. And the beer itself? Well, let’s just say what flows from the 22 taps, all boasting Service’s logo and handmade by East Coast artists, would please any palate, regardless of the patriotic inspiration or not. 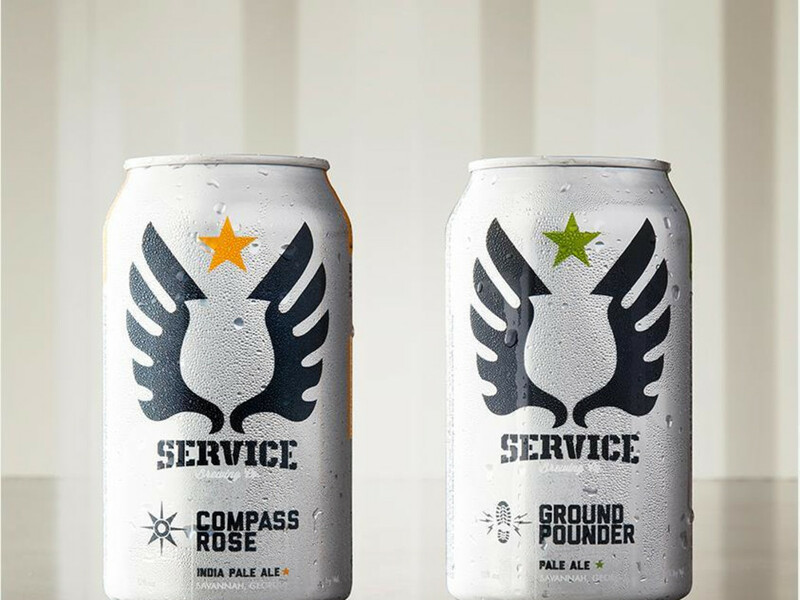 The brewery produces large-scale volumes of its two year-round brews, Grounder Pounder Pale Ale and Compass Rose IPA. The latter boasts notes of grapefruit and passion fruit, making for a very refreshing IPA. 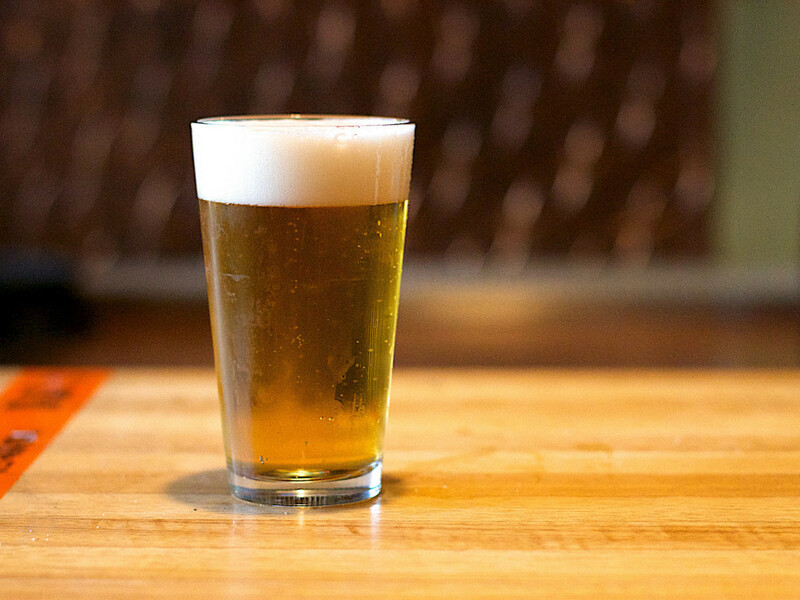 Another ideal choice for Savannah’s toasty temperatures is the light, non-bitter Rally Point Pilsner, which is offered on draft and in 22-ounce ounce bombers during the summer. Beer geeks will also love the opportunity to sample tastes from the research and development division of the brewery. These small-batch brews are experimental in nature and usually feature locally available ingredients from farmers. One of R&D’s creations, for example, is the Bierre de Garde, conditioned with honey from bees that Sutton keeps. “The brewers get a chance to really push the limits with these beers, and they do not disappoint,” she says. Additional Information: Brewery tours are available Thursdays and Fridays 5:30-7:30 pm, and Saturdays 2-4 pm. A ticket includes a tour and tasting glass.